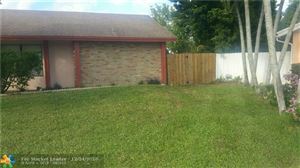 SPACIOUS 4/2/1/2 Home Located in Boulevard East on an oversize lot. New kitchen with new stainless steel appliances and new bathrooms Title floors leads into newer Laminate floors with modern finishing. AC was replaced less than a year ago. Home offer open floor plan with plenty of room for your comfort. entertaining needs. Enjoy your outdoor in the screened Lanai attached This beautiful lovely in ground pool home has recently diamond brighten. with child protected screen. walking distance from the from the houses of worship. All age, pet friendly. 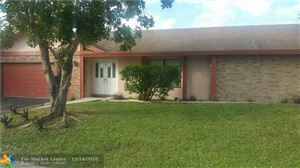 THIS WONDERFUL HOME HAS COMPLETED UPGRADES INCLUDING COMPLETELY REMODELED KITCHEN, BATHROOMS, STAINLESS STEEL APPLIANCES, FRENCH DOORS, BRAND NEW ROOF, BRAND NEW COMPLETED AIR CONDITIONING UNIT, BRAND NEW GARAGE DOOR, BRAND NEW PAINT IN AND EXTERNAL, BUILT IN CLOSETS, FENCE, LIGHT AND CEILING FANS. HUGE AND HIGH CEILING IN THE LIVING ROOM, FAMILY ROOM AND THE KITCHEN AREA. THE HOME HAS VAULTED CEILINGS. THE HOME HAS CERAMIC TILE THROUGHOUT. DON'T MISS THIS GREAT DEAL! IMPECCABLE! LARGE POOL HOME WITH SEPARATE IN LAWS APARTMENT! ON A QUIET CUL DE SAC!! PLUS A DEN! KITCHEN OPENS OUT ONTO DINING ROOM. VOLUME CEILING IN LIVING AREA. POOL AREA FEATURES COVERED & OPEN PATIO! ALL REMODELING WITH PERMITS! ELECTRIC WIRES & 2 PANELS REPLACED! HURRICANE PANELS! TILE FLOORS & CEILING FANS THRUOUT! POOL 31' x 17'! PARK 3 OR MORE CARS ON DRIVEWAY! 10 SURVEILLANCE CAMERAS! NOT IN FLOOD ZONE! NICE WOOD FENCE WITH GATES ON EACH SIDE OF HOME! GOOD FOR INVESTORS TOO! RENT THE IN-LAW APARTMENT! SEPARATE LAUNDRY ROOM! WALK TO WESTWIND PARK WHICH HAS WALKING PATHS, PLAYGROUND, HANDBALL, BASKETBALL, & TENNIS COURTS!! NO HOA. ACROSS THE STREET FROM PIPER HIGH SCHOOL! A WONDERFUL PLACE TO LIVE!!! This lovely, 3 bed 2.5 bath home is located in the beautiful Inverrary area. This one-owner home sits on a sizable lot with a large circular drive with a 6 car capacity. The home's stone and wood decorative features are a plus, as is the screened in poolside area. This move-in ready residence has a double entrance front door which opens into a foyer, a split bedroom plan, large master ensuite bathroom with double sinks, roman tub and separate shower. It also has a den/ family gathering area, eat-in kitchen featuring granite counters and stainless steel appliances and much more. Pool is conveniently located at the back of the home for privacy. Schedule a showing Bring your buyers, they'll love it! VERY LARGE 4/2 HOME WITH 2 CAR GARAGE. LARGE MASTER SUITE ON 2ND FLOOR. 1ST FLOOR HAS TILE THROUGHOUT EXCEPT BEDROOMS 3 & 4. BEAUTIFULLY LANDSCAPED WITH A PAVED DRIVEWAY AND A FENCED BACK YARD. Must see this one of a kind 4 bedroom modern remodeled home. This home features an over sized 13,000+ square foot lot with a fully fenced backyard. Brand new roof. Beautiful 4 bedroom three bath and 2 car garage in Inverrary. This massive home won't last. Hurricane windows and doors through out. That will definitely lower your insurance costs. Updated big kitchen. Large bedroom. Oversisze den can be a 5th bedroom by simply adding a closet. Enjoy the pool with a canal view. Spacious family home with fireplace and beautiful large swimming pool. The home has three bedrooms, two and one half bathrooms. Sunken living room, perfect for entertaining. Large master bedroom with walk in closet and a large bathtub and separate shower. Split plan. Two car garage. Glass block accents. Nice landscaping. Eat in kitchen with a family room area or breakfast room. Living / dining area. High ceilings. Great neighborhood, close to shopping and major highways. Excellent location. Very open and airy foyer and living room area leading into a fresh, spacious kitchen. Master bedroom with large closet space and separate outside entrance through the bathroom. Clean paint throughout the well kept bedrooms. Garage space is very open easily fitting 2 cars with the washer and dryer hookup inside as well. Pool in the backyard has the screen to cover although it is currently down. House is ready to become a home for you or your family! HOME IN SPECTACULAR CONDITION.NEW KITCHEN WITH UPGRADED APPLIANCES, ENJOY YOUR LARGE LIVING ROOM/FAMILY ROOM WITH HIGH VAULTED CEILINGS. NEW CENTRAL AC, NEW SHINGLE ROOF, 2 CAR GARAGE, AND MANY MORE FEATURES. WALKING DISTANCE TO HIGH RATED SCHOOLS. PRICED TO SELL!!! WONT LAST LONG!! HOME IN EXCELLENT CONDITION. MUST SEE. 2,500 BONUS TO SELLING AGENT WITH ACCEPTABLE OFFER. JUSTED REDUCED TO SELL! Fabulous 3/2 Single Family with Pool & Upgrades! 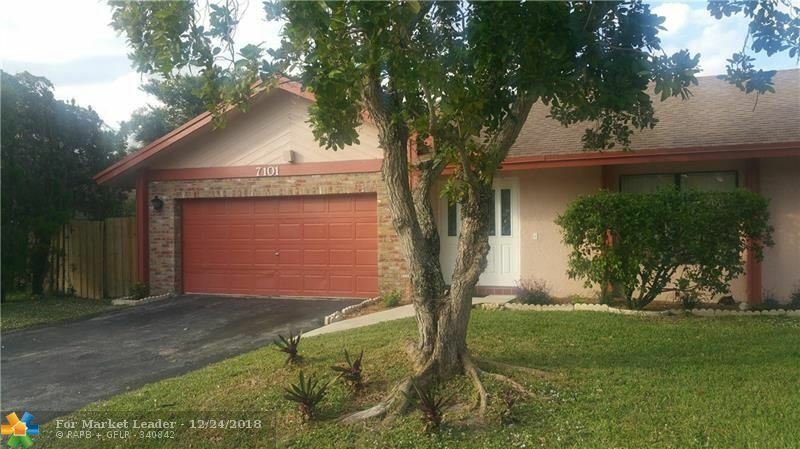 This Large Corner Lot features an Updated Kitchen with Stainless Appliances, Granite Counter Tops with plenty of Kitchen Cabinet Space & Eat in Kitchen Island. This solid home had Newer Replacements done in 2013 which included a New Barrel Tile Roof, A/C, Water Heater, & Diamond Bright Pool Resurfacing. The Split Floor Plan is perfect for a family with the 2nd Bathroom featuring a Double Sink & Tub/Shower combo. Very Comfortable Master Bedroom & Master Bath with Walk in Closet. Relaxing & Spacious Tiled Screened In Patio overlooks the large Fenced-in Backyard with Pool. Home Includes Hurricane Shutters, Owner Owned Burglar Alarm, 2 Car Garage, No HOAs, & is Conveniently Located Close to the Turnpike.